We cannot display this galleryHyundai has revealed the first details of an all-new Veloster, the marque’s quirky asymmetrical coupe-hatchback. Based on an all-new platform and launched in both standard and hot N variants, will the new model resonate with the buyers. When launched in 2011 the original Veloster was hampered by underwhelming powertrains and bland driving dynamics, not to mention odd styling that didn’t sit well with European tastes. As a result the Veloster was removed from sale in the region and Europe. Hyundai’s path has since veered in the right direction (for us at least), having recruited some of the best engineering and design staff from across the industry. Of most note was the poaching of Albert Biermann, former BMW M engineer, architect of the ‘N’ program and father of the quite excellent new Hyundai i30 N.
Has this had an effect on the new Veloster? Well if you weren’t a fan of the first Veloster’s design, chances are you wont much like the new one. 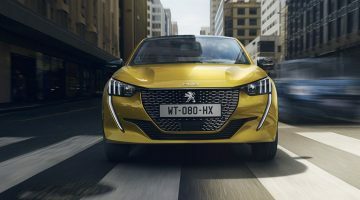 Sharing a similar shape, the new car follows on from the previous model of sitting somewhere between a coupe and hatchback. It does adopt a few of Hyundai’s latest design cues such as a waterfall grill and three-dimensional LED taillights, but the asymmetric doors and pinched rear end remain. 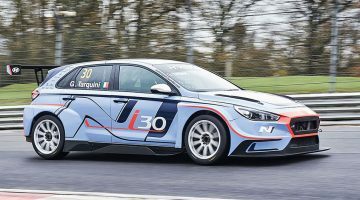 The N model also shares the i30 N’s design motif, incorporating black and red elements on the lower bumpers combined with the now trademark Performance Blue paint scheme. Bigger changes have been made under the skin, the Veloster N utilising the same 271bhp 2-litre turbocharged four-cylinder engine as in the i30 N Performance, connected to a six-speed manual gearbox. To harness the considerable grunt, Hyundai fitted an e-LSD as well as a set of larger performance brakes and Michelin Pilot Super Sport tyres. According to Biermann, the Veloster underwent the same exhaustive development regime as the i30 N, giving us hope of a similar dynamism to its sibling. An entry-level Veloster will also be available, powered by either a 144bhp 2-litre naturally aspirated unit or 1.6-litre turbocharged four-cylinder engine with 198bhp. An optional seven-speed dual-clutch automatic gearbox is also available. The big question is whether Hyundai will take a gamble and once again offer the Veloster in the region market. At this stage there is no word from the brand on any return of the Veloster to these shores but the warm reaction to the i30 N could tip the balance in favour of a comeback. Regardless of where it’s officially sold, the Veloster, especially in N form, might well have matured into a very interesting new hot hatch proposition. Next Article What to expect from the new G-Class and AMG in the Middle East?